33 - How Passion, Fear and Circumstance Can Help Fuel Your Projects + Get A Better Job NOW! How Passion, Fear and Circumstance Can Help Fuel Your Projects + Get A Better Job NOW! Use Coupon Code BLC for 50% off! On this episode of Business, Life, and Coffee, you'll hear how one innovator is harnessing his fears to create content that changes lives and inspires others. Meet a modern day storyteller who uses the medium of podcasting to shift the public's image of Baltimore from a negative to positive (and rightfully so!). 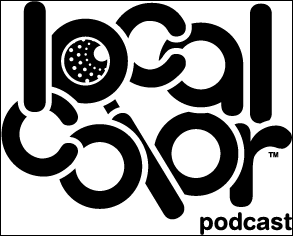 Through sharing the stories of various innovators in the city, Jason Van Slyke's Local Color Baltimore podcast is telling the side of Baltimore that you'll never get by watching HBO. 139 - How Can Branding Yourself On Social Media Help You Become A Successful Entrepreneur? 138 - How To Reduce Taxable Income In 2018 Through Tax Planning? 136 - No Time for Love: Is Online Dating a Solution for Today’s Busy Entrepreneur?